In recent years, China's infrastructure construction sand and gravel aggregate demand is growing, as the basis for industry support, vertical impact crusher into the crushing and screening industry, it has become "Artifact " in sand production line. 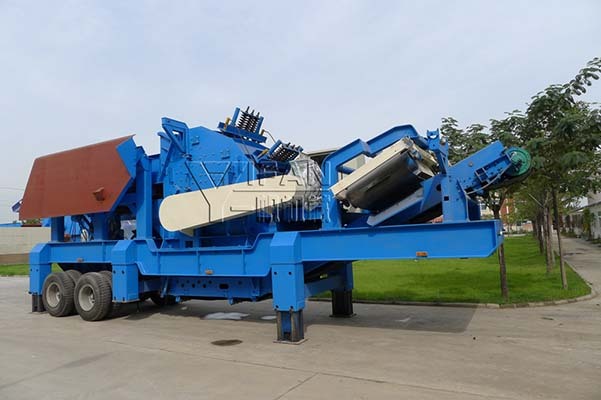 Zhengzhou Yifan Machinery Co., stone crusher station is to absorb advanced technology developed and produced in Germany, high performance sand making equipment with the international advanced level. Equipment "stone at stone" and "stone blacksmith" two kinds of forms, designed for highway, railway, municipal engineering, concrete mixing station to provide high-quality sand and gravel aggregate, artificial sand is the preferred device. Vertical impact crusher with high crushing efficiency, crushing ratio, simple structure, installation and maintenance more convenient features, this product from the launch date, has attracted a large number of customers come to buy, and after the use of the quality and efficiency of the product affirmed. In the fast-growing market in China, our products are used in national key projects play an important role in the construction of the national highway network and large hydropower stations, we provide a number of sets of production line for the sand and gravel crushing and screening plant, such production lines We can provide high-quality sand and gravel aggregate for the project. Professional achievements brand,Zhengzhou Yifan will adhere to innovation, continuous improvement of products, and continuously improve the reliability of the product, we aspire to be the crushing and screening industry brand in the world.